It’s been said that marketing is a contest for people’s attention. If that’s the case, at least for this one short moment, a small village in Switzerland may have won the game. An article just out from The Independent tells the story of the small mountain town of Bergün/Bravuogn that has taken the extraordinary step of outlawing the taking pictures in its bucolic environs. The rationale behind the new law goes something like this. The town claims that it is “scientifically proven” that beautiful travel pictures on social media make those seeing them unhappy. Therefore, allowing travelers to share the extraordinary beauty of their destination with friends back home is unkind, will make people sad. So, the law was needed to promote general happiness. It’s brilliant and all in good fun. A bit of good-spirited (and quite effective) publicity grabbing. But here’s the rub. 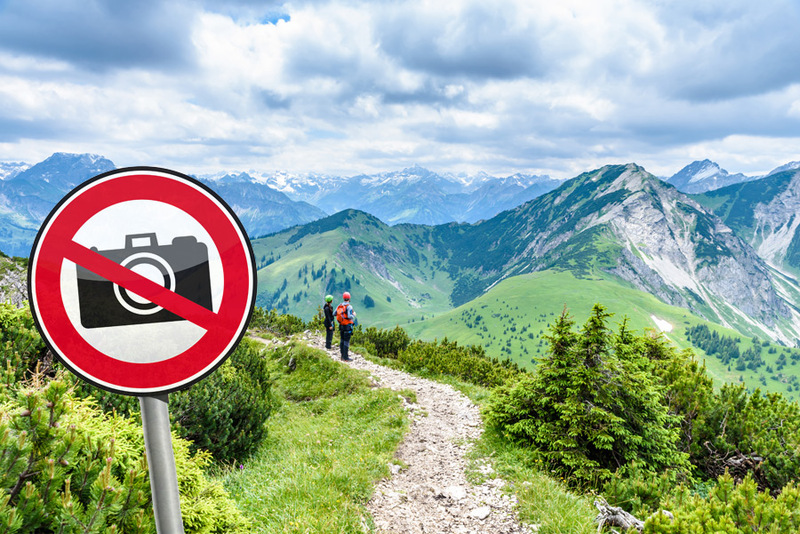 According to the story, the local DMO says it “has removed photos of the village from its Facebook and Twitter accounts, and has declared its intention to remove them from the Bergün website too.” We don’t believe they’re serious, for as a long-term strategy this would be disastrous. We’ve studied DMO marketing campaigns for decades and from every point of view possible, and can say definitely and with no hesitation, that in terms of what motivates destination choice, photography is paramount. Humans are highly visual creatures, and nothing excites interest in a place like beautiful, authentic imagery. We hope Bergün enjoys the fruits of this smart PR work, but would gently suggest that they don’t ride this wave too long. Why? Word-of-mouth via social media has become extremely important to travelers. Social channels are one of the most important places from which leisure travelers draw destination inspiration. If you don’t believe us, check out page six in our latest The State of the American TravelerTM study. You’ll see that word-of-mouth (via social media) is one of the more widely relied upon methods for getting inspiration for travel destinations. If Bergün is really smart, they’ll use their clever new positioning as a way to get visitors to actually post their beauty shots of the town to social channels. In a social climate where the words like “troll” and “hater” have quickly become ubiquitous parts of the American vernacular, it might be easy to believe the myth that people don’t want to see their friends and relatives’ travel pictures—that, in some way, this does make other people unhappy. Don’t believe it. Negative voices are often the loudest, but our research strongly shows that most people enjoy seeing and hearing about their friends and relatives’ trip adventures on social media. Not only do they use social media for trip inspiration, they enjoy it. The next time anyone tells you that people don’t want to see travel posts on social media, just refer them to the chart below.